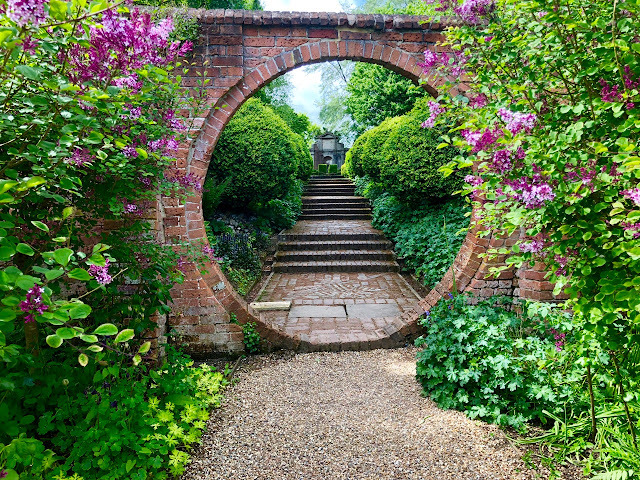 "I" for Iconic English gardens! In my last post I featured wonderful historic houses with gardens, and in this entry there are stunning houses, but I'm concentrating on iconic gardens with a capital "I"! Steel yourself though, because you're going to encounter some interesting road conditions reaching them, plus the odd tractor, but all worth the effort when you arrive! 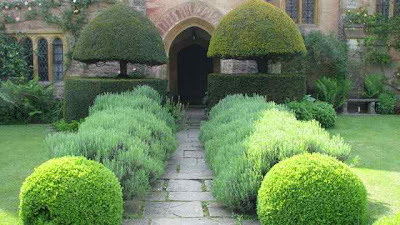 These are English gardens at their best - you won't find anything like them anywhere else in the world. 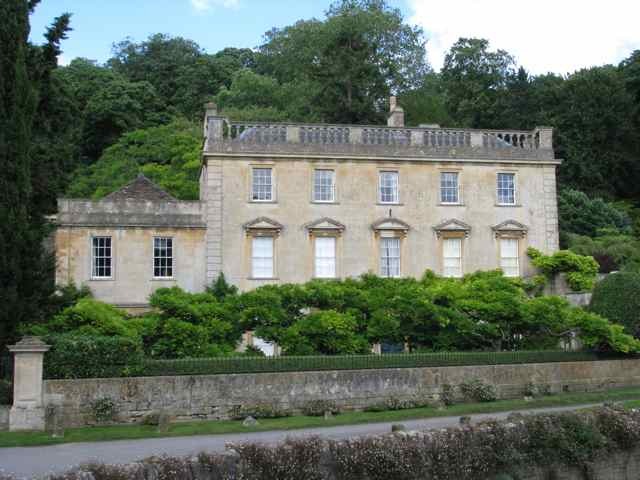 Iford Manor in Wiltshire (above) ranks as one of my top gardens visited so far. This is Harold Peto's garden - a magical place, where you'll encounter something more extraordinary at every corner you turn! It took me three years to get here, but when I did, it took my breath away, with the amazing Italian statues and the feeling that you have stepped back in time and become an actor on an empty stage. This garden is a masterpiece! Filled with statues and urns that Peto shipped from Italy, it has a predominately Italianate feel and the hillside position lends itself to an extraordinary landscape that Peto has used to the full, so you climb up and down steps; get views of the valley and stage sets below; and encounter a series of garden rooms at different levels. A simply marvelous garden and definitely not to be missed! 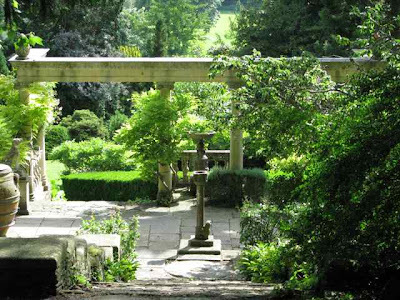 Combine this with The Courts (below) which is just a couple of miles away and you will be left wondering how you'd ever missed these two extraordinary gardens hidden away in Wiltshire. The seven-acre garden surrounds a lovely 18th-century house, and includes a fine collection of trees. The water garden (below) is a particularly stunning feature at The Courts and although I wasn't there at the right time of year, I'm told that the Iris sibirica display is outstanding. Just a word of warning though - you won't be able to combine these two gardens on a Wednesday because The Courts is closed that day! 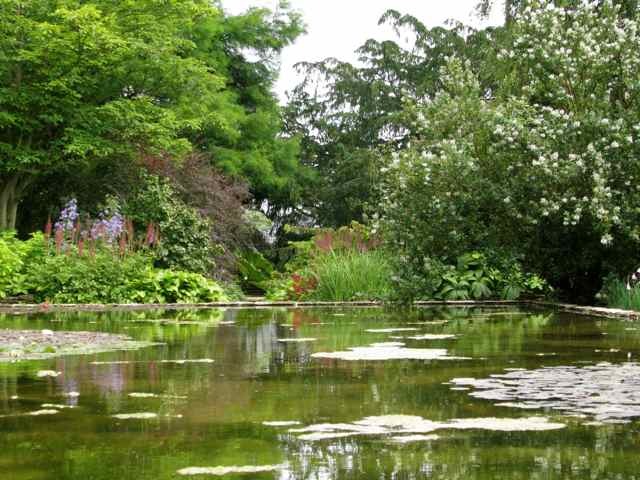 Check diary dates for next year in The Yellow Book published by the NGS to make sure you don't miss the open days at The Old Rectory, Duntisbourne Rouse in Gloucestershire (below). Home of Mary Keen, the well-known garden author and designer. This is one that will make your spirits soar! Do check your map before you go, because if you take the wrong road, you'll end up crossing a ford, which might just take you by surprise! But this is a garden worth getting wet for - it's a classic English idyll.... need I say more?? 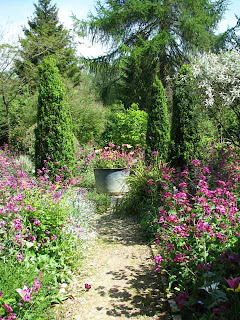 Only open on a couple of days a year, so you may need to do your homework in advance, but there are many other stunning gardens in the area, so this is good to include in a garden break with a stay in the glorious Cotswolds. 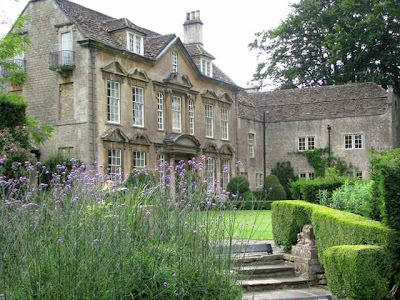 Cothay Manor is another iconic house and garden in the heart of the Somerset countryside. 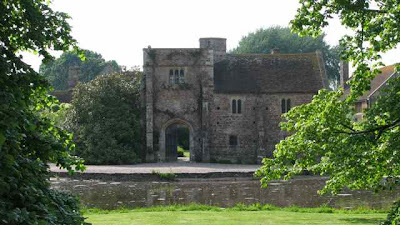 The beautiful medieval moated manor (below) has another of the finest gardens that I've seen in my travels so far. Extending to some 12 acres, the gardens were only laid out early last century and have been redesigned and replanted in the last few years by the present owners. Particularly spectacular in May when the tulips are in bloom, but good to visit at any time of year for the immaculate topiary and summer flower displays. This is definitely another garden in my top ten and will be well-worth watching in years to come as the owners continue to develop the outstanding work they have already completed. The surrounding countryside is stunning too and you won't be disappointed if you make the effort to get here. There are also many other beautiful gardens locally, so do your homework and visit several on the same day! There will be more iconic gardens to come later this year, as I get details of open dates for readers. These old buildings make such a beautiful backdrop for the gardens. My favorite has always been old masonry work against delicate flowers. So beautiful... I was especially taken with the first picture with the wonderful sunlight. All the photos are worthy of a click to enlarge. 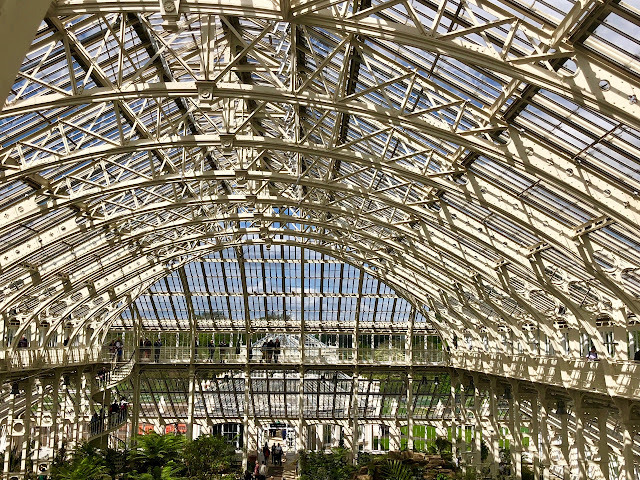 What wonderful buildings and beautiful gardens too. What classic style! I could imagine walking around these gardens in a white linen frock... gathering flowers and taking a nap. So pretty! Okay an "I" word for these pictures "Incredible". As always these pictures are wonderful. Hi Tiggerlot~~ If I visited, I doubt I would want to leave, especially Iford with its many rooms and levels. You write with such inspiration. I am going to have to stop coming here. Either that or simply move into a fantastic idylic castle of my own. Come on Lotto! The images you share just take my breath away every time. Thank you for keeping me breathless. I have added these gardens to my list too. Another stunning post and your photos and text are as always so inspiring! What a magnificent paradises! Loved each picture and your comments really brought them to life! I love the theme of iconic gardens - it would be fun to see similar posts from other countries, although England of course hard to top. Thanks for a great post. Excuse me while I lie down and weep. The topiary and lavender in the last shot... sob.